Confidence, inspiration and a means of expression are just some of the amazing things experienced by young girls who attend Girls Rock Camp Toronto. 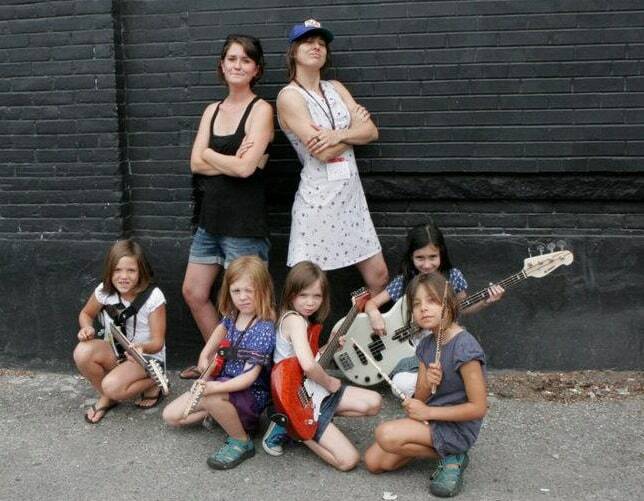 Young women from 8-16 are encouraged to pick up an instrument, form a band, and rock out. Designed not only to show these girls a great time, Girls Rock Camp hopes to combat a plummet in self-confidence that occurs for many girls between sixth and tenth grade. “Gender and culture should not decide whether a person can play music,” say the founders of the Toronto chapter. Your donation will help make the 2013 camp a reality. That means 15 bands formed by 75 awesome young campers. Among them could be a girl who finds her voice screaming into the mic, or one who discovers the confidence to fight for political beliefs while she’s pounding the drums. It’s important to everyone behind the camp that the program is affordable for everyone. I would tell you more, but instead, just watch the campaign video. The images of these girls playing their instruments are more convincing than I could ever be.